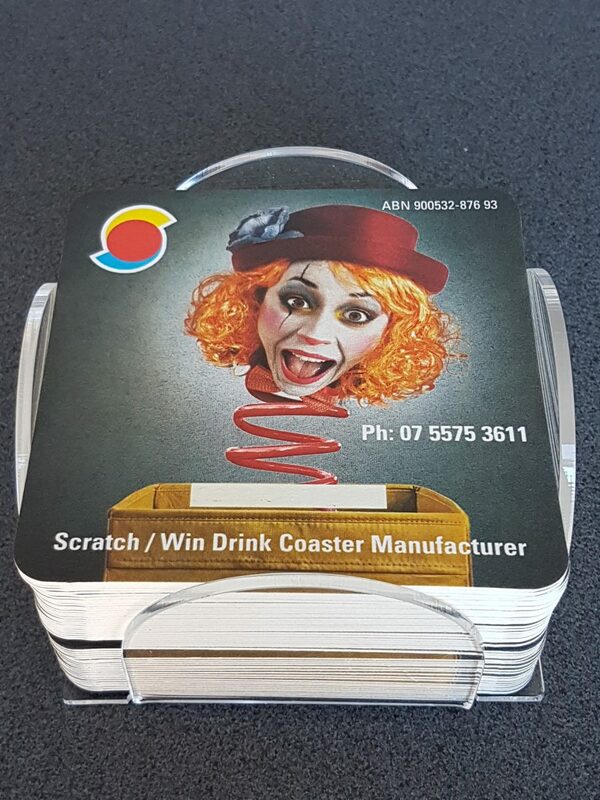 Buy drink coaster holder now! Buy our premium drink coaster holder now! Here is the perfect fit. Made of perspex this coaster holder is suitable for our jumbo size 95mm x 95mm square or round shape coasters. Price is $8.80 which includes gst but not delivery.